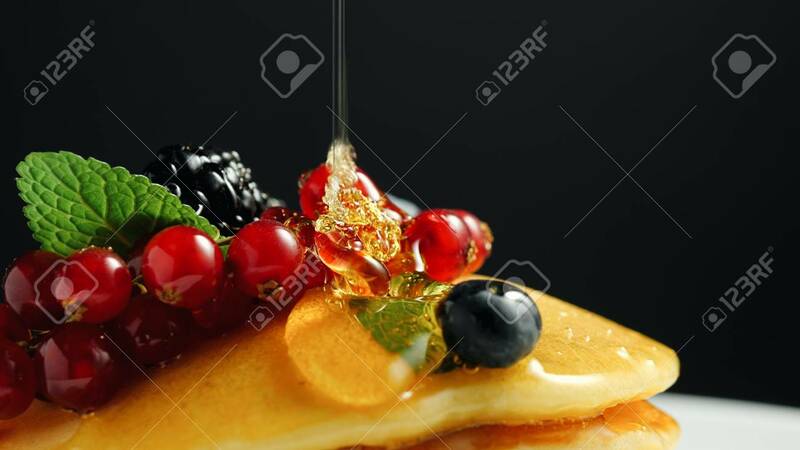 Stack Of Fresh Fluffy Pancakes Decorated On Top With Forest Berries On Plate And Pouring Honey Syrup. Delicious, Healthy American Breakfast. Fresh Bakery Concept Foto Royalty Free, Gravuras, Imagens E Banco De Fotografias. Image 114171146.